Spain – "The Europe we want is for all ages"
Marking the International Day of Older Persons, AGE Platform Europe in collaboration with the European Parliament Office and the Representation of the European Commission in Barcelona organised on 5th October 2018 the seminar “Achieving Equal Rights and Dignity for Older Persons”. The event gathered several of the local decision-makers who work in the field of ageing from Barcelona and Catalonia as well as representatives of older persons and wider civil society. FATEC is a federation created 32 years ago, formed by volunteers, with the aim of promoting activities and actions for the promotion of the elderly in our society. 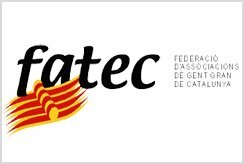 FATEC represents around 345,000 of senior citizens in Catalonia, from senior centres, retirement homes, cultural centres, community centres and associations. There are more than 580 entities affiliated to FATEC. FATEC has met several political parties to present AGE Manifesto and their priorities (see here). We are welcoming Esquerra Republicana‘s support, which has integrated in its programme point 6 of AGE Manisfesto as to promote older citizens’ active participation in community and volunteer activities and to connect older citizens’ groups with their MEPs and other policy-makers, as well as point 2 on minimum income as a tool to fight against poverty among all age groups, especially children and older persons. Josep-Maria Terricabras, lead candidate for Esquerra Republicana has signed AGE Manifesto. Moreover, we are happy to receive the support of Iniciativa per Catalunya Verds which commit to develop rights and resources to improve older persons’ living conditions. MEP candidate Ernest Urtasun has signed AGE Manifesto as well. Last but not least, Francesc de Paula Gambús i Millet from the Convergència i Unió (CiU) party also supports AGE Manifesto. We promote solutions and / or activities for the elderly, on the main issues that affect them as health, dependency, pensions, abuse, home security, loneliness, financial products, contacts with youth and middle age, etc., and promote the active life for them. End the current policy of cuts that impoverishes many older people. Stop the reduction of social, health and pharmacological benefits, pensions, dependency and everything that goes against life dignity of the elderly. Neither the European Union nor any Member State may allow that poverty becomes structural, and fight it vigorously while the current austerity measures stay and grow. We demand efficient, continuous and verifiable actions to remove it. Ask the different Member States improvements and deepest legal and judicial measures, more forceful and effective to end the abuse of older people. Ask EU to stress the Spanish government to perform the necessary structural reforms to avoid the excessive macroeconomic imbalances, improve budgetary transparency in the context of institutional stability and better early retirement scheme. Maintenance of the Wellbeing System for all EU countries and take measures for its sustainability. Reinvigorate the economy and take steps towards the creation of wealth, strengthening the entrepreneurship, promote investment, forcing banks to give loans and to develop growing policies for the states. More forceful measures applied to end fraud, tax evasion and underground economy, applying a tax on financial transactions. Require to the different states and particularly to the Spanish government a progressive law tax, fairer, preventing advantages and deductions for businesses, big capital and financial products and becoming more social. We demand energetic action by the European Union with respect to the deficit that it authorizes to Spain annually, demanding a fair distribution and control throughout the Communities and Local Government, as the current distribution is discriminatory and leads them into a lack of any room for economic manoeuvre in their budgets. We propose a new European social and intergenerational pact, anticipating the significant increase in the number of elderly citizens, that establishes who and how contributes via taxation and who, when and what benefits receives in order to avoid, in the future, social and emotional gap between generations. We would like to propose to the member states to adopt this agreement and adjust it to their own particularities. Ability and need to take profit of the availability of retired people to meet social needs that many Public Administrations cannot attend, through a volunteer model, somehow encouraged and rewarded. 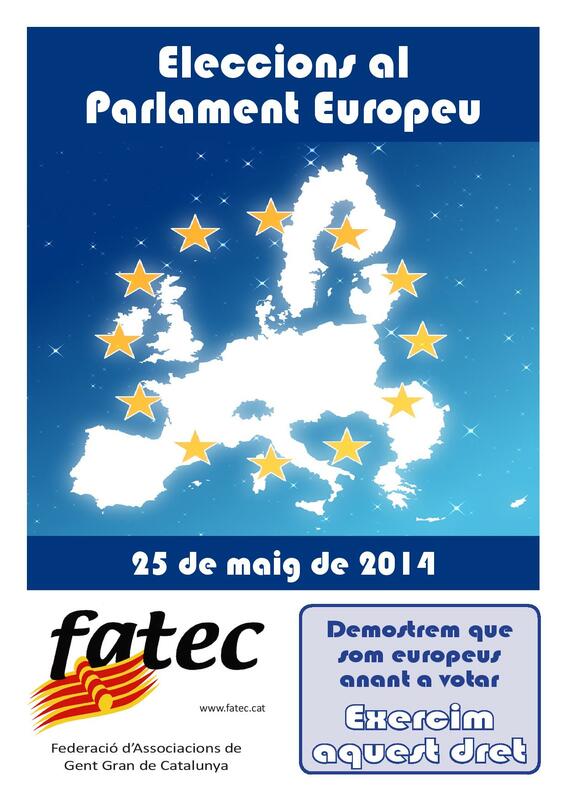 Guiding and helping any new countries members in the EU with lack of structures to cover social issues. Helping them to create federations of older people within the associations of civil society. Final and definitive impulse and investment to finish the construction of the Mediterranean TGV towards Europe. You may read FATEC Manifesto here or access FATEC website here.